When you dine at restaurants such as Layla Mediterranean Grill & Mezze, Mazza Middle Eastern Cuisine or Cedars of Lebanon, you'll not only encounter the exotic flavors of the Middle East, you'll be able to explore the distinctive wines and other libations of Lebanon. All three of these restaurants offer the opportunity to taste Lebanese wines, arak and beers, and most of them are pretty easy on the budget. You might be surprised to learn that wine has been made in the region that is now Lebanon—not much bigger than New Jersey—for some 6,000 years. Today, Lebanon is strewn with vineyards and wineries—some 30 different ones—that produce around 600,000 cases of wine annually. In the Bible, the Israelite prophet Hosea (780-725 BC) wrote, "they will blossom as the vine, their fragrance will be like the wine of Lebanon." French grape varieties are well-represented in Lebanese winemaking, and it's typical to see varietals such as Merlot, Cabernet Sauvignon, Cinsault, Grenache and Carignan used in red wines, and Chardonnay, Viognier, Sauvignon Blanc and Muscat in the whites, along with Obeidi, a grape native to the area. Most Lebanese wines come from vineyards in the southern Beqaa Valley, with the best-known producer being Chateau Musar. These wines are on the higher end of the price spectrum for Lebanese wines, but a wine like Chateau Musar Rouge—one of the world's great red wines—is still a steal, retailing for around $50. It'll cost about twice that in restaurants. Chateau Musar was the first wine producer in Lebanon to be "certified organic" and, blessed with some 300 sunny days per year, the vineyards' production is reasonably predictable. 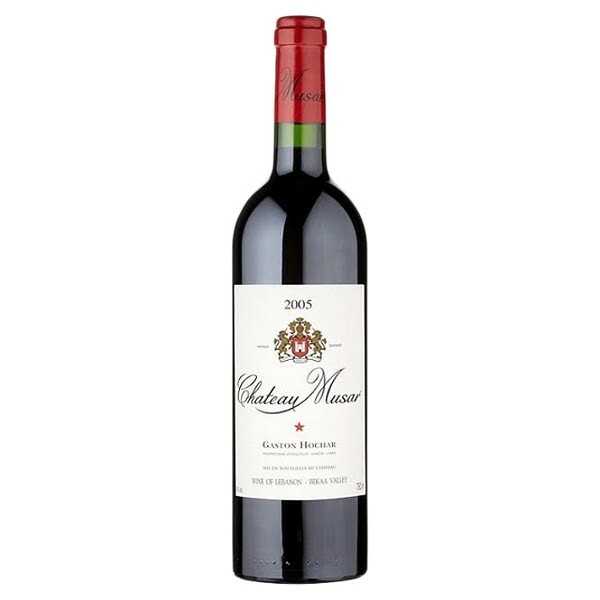 Chateau Musar Rouge is rich and muscular, a blend of Cabernet Sauvignon, Carignan and Cinsault. It's a wine with enough depth (not to mention sediment) that you'll want to decant it at least an hour before serving. So, if you're planning a visit to any of the aforementioned Middle Eastern restaurants, call ahead, so they can have the wine decanted and ready to drink when you arrive. Another popular wine producer from Lebanon is Massaya, a partnership between brothers Sami & Ramzi Ghosn and the owners of France's Chateau Trianon and Le Vieux Telegraphe. It's named Massaya, according to the winemakers, "for the time of day when twilight sets on the vineyard and the sky turns purple as the sun sets behind Mount Lebanon." Recently, at Layla Mediterranean Grill & Mezze, I enjoyed sipping Massaya Blanc 2013, a white blended wine that retails for about $15. It's quite dry, but aromatic and easy-drinking—a blend of Clairette, Obeidi, Sauvignon Blanc and Chardonnay serves as a good aperitif, but also pairs nicely with light fare such as falafel, chicken or fish. Lebanon's largest winery is Chateau Ksara, which accounts for approximately 70 percent of the country's total wine production. While Ksara makes some wines you can get in local restaurants for around $40, I urge you to track down abottle of 2004 Chateau Ksara LeSouverain 150th Anniversary. It's an amazingly well-balanced and beautifuly structured red wine made from Cabernet Sauvignon and a rare grape varietycalled Arinarnoa, which itself is a crossing of Merlot and Petit Verdot. It's a bold wine that will stand its ground with game and red meat. The next time you're looking for a little something out of the ordinary in your wine glass, take a little trip to Lebanon.